Are you considering switching to Ebico? Before you decide, why not take a look at this guide and find out what they could offer you. Founded in 1998, Ebico is a not-for-profit organisation that is using their status as a national company to help further their positive goals. They concentrate specifically on the most vulnerable customers, helping those that are at risk for fuel poverty, many of whom are on prepayment meters or economy 7. They currently supply over 60,000 households and has a partnership with SSE and Robin Hood Energy. Below you can see the average price for a three bedroom property housing approximately three people. See the contract length and fees section for more information about the tariffs available. Ebico generally has a very positive customer support team according to Trustpilot where they have a 4-star rating. Some of these reviews that are a negative state that it can be hard to get through to Ebico. However, that may be a situational issue rather than something that happens often. The person I spoke to on the phone when inquiring about transferring to Ebico was really easy to talk to and answered all my questions with a lot of patience. I appreciated this, and I know older customers who are nervous about switching providers would feel assured by actually talking to someone who listens carefully, rather than trying to find things out online. Ebico ignores all contact. Having got my address wrong three times, Ebico had ignored all my contact. A fourth email was equally ignored. I was once a happy customer but now regret the day I called. Awful company. Ebico enjoys a high 4-star rating on Trustpilot, with 60% positive reviews and only 10% that fall into the negative category, with the rest falling somewhere in the middle. Though online reviews aren’t always accurate, you should still consider them when comparing energy providers. I’ve just moved and chose to sign up with Ebico again. I only use electricity, and I found them to be the cheapest and most straightforward. The switch was very easy, and I didn’t encounter any problems. They’re a non-profit company, and if you’re looking to switch, you should have a look at them. Joined Ebico as they were cheaper than sse who I was with as soon as I’d applied and a switch was going through they increased the prices making it more expensive than sse, therefore, wasting my time switching. Ebico would be an excellent fit for any customers that may be at risk for fuel poverty, who can benefit from their range of tariffs that focus on the most vulnerable. Ready to compare? Check out the form at the top of the page. 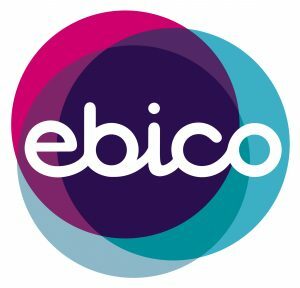 Ebico is a not-for-profit organisation that plans to help people who are at risk for fuel poverty and offer many tariff options to give you more control over your energy usage and costs.